A calming Selenite palm stone to hold during meditation or use in energy healing work. 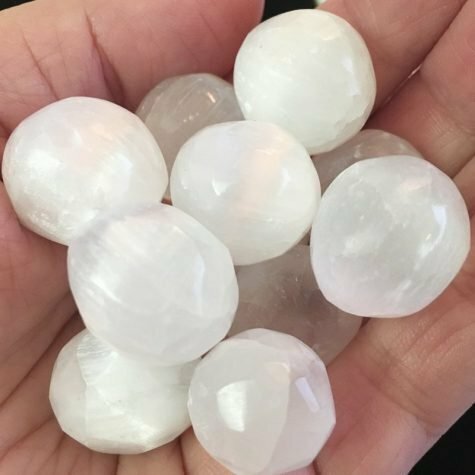 Selenite is an important healing stone, as it helps organize light coming in to body and makes it easier for cells to align it during transformations. This vibrant white stone is cleansing, especially for our emotions that don’t serve our well-being. It is a big crown chakra opener. Selenite is known as a self-clearing stone, and can be used to clear other stones, spaces, and your energy. It’s very soft, so do not place in water. Is 2 1/2″ x 2 1/4″ x 1″ in size.